If you’re a golf buff, tee up at highly rated championship courses open to the public. 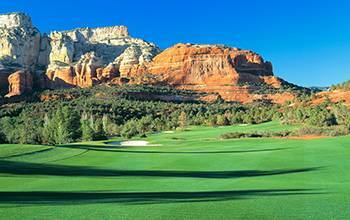 Golf in Sedona is a bucket-list experience. Amazing Golf with Incredible Views! 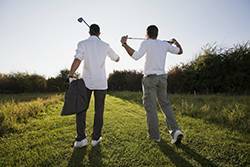 Year round playability – Average highs range from 93 degrees in the summer, to 58 degrees in the winter. Our courses are bent grass greens and rye fairways all year long. 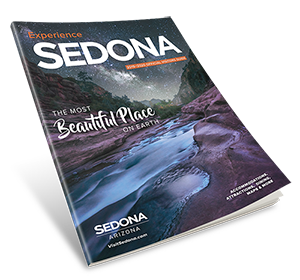 Although there are only a handful of courses, there is a wide range of types of courses in Sedona for all levels of players. We have 9 hole par 3 courses to 18 hole Championship courses. Our courses offer a lot of diversity from traditional tree lined dog-leg designs to open designs with amazing elevation changes and views. Whoever called golf “a good walk spoiled” never shot a round in Sedona. There’s just no way to spoil a walk in these parts. Every saunter in the red rock wonderland is spectacular whether you’re on a hiking trail or strolling up a fairway. In addition to the unparalleled scenery, mild temperatures and over 300 days of sunshine each year make Sedona a golfer’s paradise. A handful of beautifully engineered courses fringe the edge of town allowing quick access while providing dramatic panoramas of the famous red rock formations. 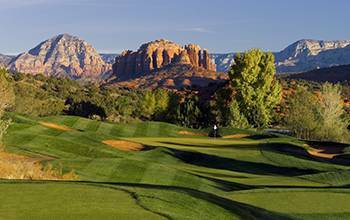 The Sedona courses range from traditional links-style layout to target courses. They will challenge your skills while creating a memorable vacation getaway. Sedona Golf Resort flows through a juniper-strewn valley overlooking an eruption of coral cliffs. 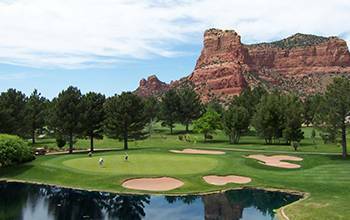 The championship course adjacent to the Hilton Sedona Resort at Bell Rock receives a continuous four-star rating from Golf Digest. Seven Canyons is an acclaimed Tom Weiskopf-designed course with a stunning layout and classic feel. Seven Canyons is a private golf club open only to members and guests of Enchantment Resort. Views are never more than a chip shot away at Oakcreek Country Club, where tree-lined fairways lead to elevated greens. 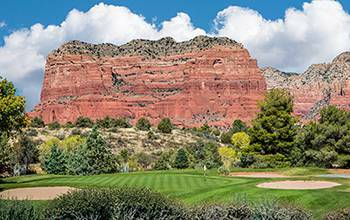 A classic player-friendly design, this was Sedona’s first golf course. Somehow the 9-hole executive gem at Canyon Mesa Country Club strikes that delicate balance as a couples-friendly yet challenging course.The short length makes Canyon Mesa good for novices but its narrowness and difficult greens makes it perfect for target golf as well. The best thing about golfing Sedona is that players are given an irrefutable excuse for a lousy round. All they have to do is admit the truth: It’s very hard to concentrate because of the breath-snatching scenery. Maybe granting a mulligan or two for the staggering beauty isn’t a bad idea. On the other hand, if tennis is your game, you’ll love playing in Sedona during any season. The weather is ideal for tennis all year long, and some of this community’s finest resorts offer professional instruction and scheduled competition on top-quality courts.